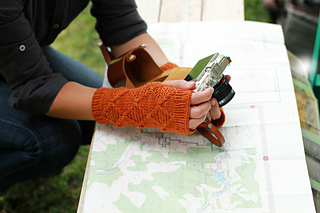 These unisex hat and mitts are made for each other. 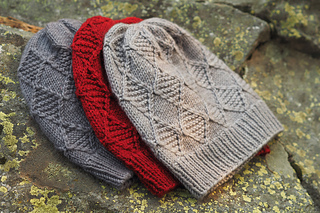 The hat is a bit slouchy, and the mitts are just the right length for whatever your day holds. 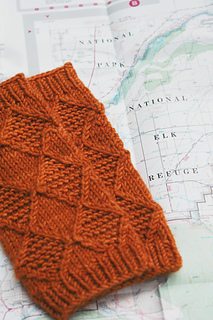 The large diamond motif echoes the pattern in the Field Guide scarf. You might choose to knit each piece by itself, or knit the hat and mitts to compliment your scarf for a beautiful three piece set.